'Twas the Night Before Christmas is the first line of the poem originally published in 1823 as A Visit from St Nicholas. 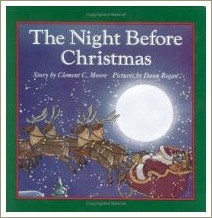 The poem is often called simply 'The Night Before Christmas'. Since it was first published, the poem has been popular with children and adults alike. It's been published and reprinted many times in many different formats and reading it together on Christmas Eve is now a much-loved Christmas tradition in many families. Who Wrote 'Twas The Night Before Christmas? The poem is thought to have been written by a man called Clement Clarke Moore, a university professor who lived in New York City. Moore wrote the poem for his children, composing it, so the story goes, on a snowy winter's day during a shopping trip in a sleigh. It was submitted to the Troy, New York, Sentinel by one of Moore's friends and was published anonymously on 23 December 1823 as 'A Visit from St Nicholas'. The poem was an instant success but, because he was a scholar and a professor, Moore didn't at first want to put his name to it. 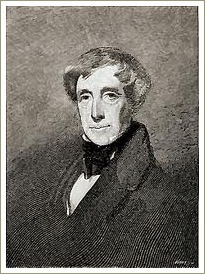 It was reprinted many times over with no name attached before Moore agreed (at his children's insistence) to have it included in an 1844 anthology of his works. 'Twas the Night Before Christmas is largely responsible for creating the character of Santa Claus as we know him today. Moore's inspiration for the character is believed to have been a local Dutch handyman as well as the historical Saint Nicholas. 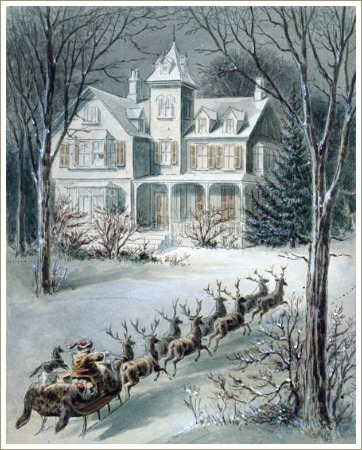 Although he borrowed some ideas from other stories, it was Moore himself who came up with the idea of a chubby, jolly old man, dressed in red who visits on Christmas Eve, travelling by sleigh. 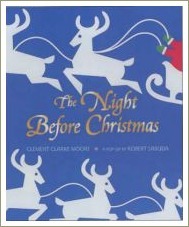 The number and names of his reindeer, as well as the tradition that he brings toys to children are also all Moore's ideas. 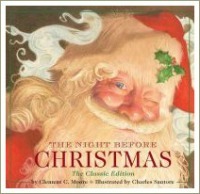 Who Owns The Original Copies Of 'Twas The Night Before Christmas? 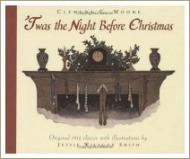 Clement Clarke Moore died in 1863 leaving four known, hand-written copies of 'Twas the Night Before Christmas. Three of these copies are in museums while the fourth, which was written out and signed by Clement Clarke Moore as a gift to a friend in 1860, was sold by one private collector to another in December 2006.